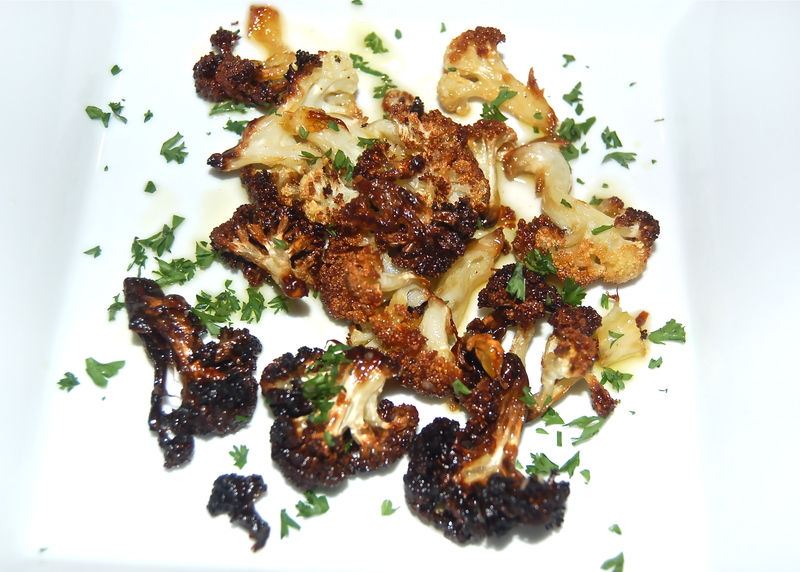 If you have never tasted charred Cauliflower florets, you are in for a treat. To me the taste is comparable to a toasted Marshmallow vegetable. I admit it’s a strange comparison, but I don’t know a better way to describe them. The proof will be in the eating. 2. Place the Cauliflower florets into a large bowl. Add the EVOO & Salt. Toss it all together. 3. Add them to a deep sided oven proof casserole dish. Roast for 30 to 40 minutes, until tender & deeply charred.